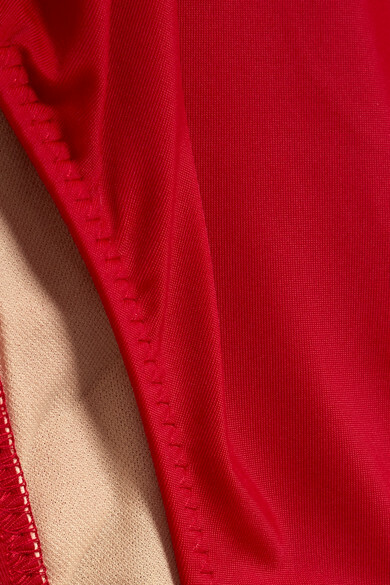 Norma Kamali updates its best-selling 'Marissa' swimsuit in a bold red hue. Cut from a sculpting stretch fabric, this flattering style has low sides, a deep scooped back and high-cut legs. Wear yours as a bodysuit with jeans or a flowy skirt. Wear it with: FRAME Shorts, HEREU Tote, Ancient Greek Sandals Sandals, Andy Wolf Sunglasses, Sensi Studio Visor, La Mer Suncare.